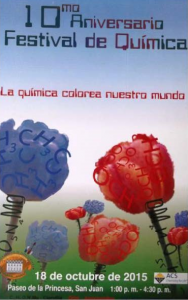 Since there are many students who see chemistry as something difficult, boring, and of no relevance to their lives, our Central Visual Arts School ChemClub participated in projects to help motivate students to learn and inquire more about chemistry in the real world. 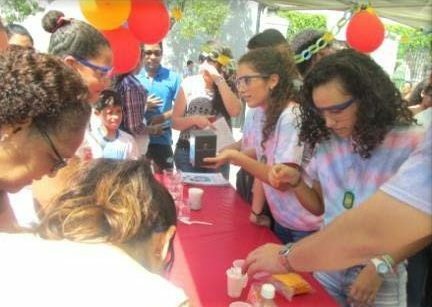 Our school celebrated the Festival with different interactive activities and demonstrations to educate others about chemistry. 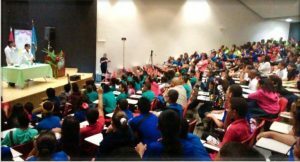 These activities were carried out by our ChemClub students and the American Chemical Society Student Chapter at the University of Puerto Rico−Rio Piedras Campus (ACS UPR−RP). A poster contest was also conducted in our school to promote the Festival. 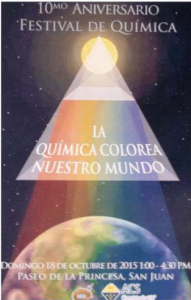 This year’s theme was “Chemistry Colors our World.” The contest was beneficial to high school students because they could obtain another perspective of the field of chemistry, as they used their art abilities to show the chemistry behind color. Members of the ACS UPR−RP Student Chapter collaborated by serving as contest judges. They evaluated the posters, taking into account artistic and creative elements, chemistry and science content, and relevance of each design to the Festival theme. Some of the presented posters are shown. 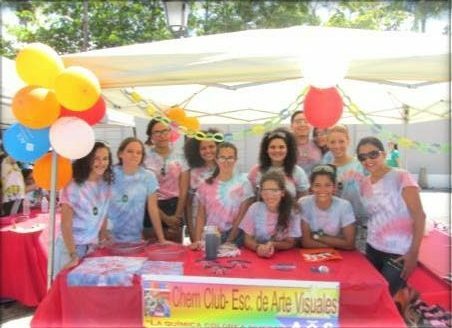 Our students also worked at the Festival de Quimica held at El Paseo la Princesa in San Juan, Puerto Rico, in October 2015 and April 2016. The October Festival had the National Chemistry Week theme “Chemistry Colors Our World” and the April Festival had the Chemists Celebrate Earth Day theme “Our Home’s Ecosystem.” It gave participants chances to explore how chemistry and other sciences are present in our lives. ows, using materials from our everyday lives. The ACS UPR−RP Student Chapter helped us organize the shows and the demonstrations. The audiences were diverse, including students from elementary to high school levels. We also collected data about what the audiences thought about chemistry before and after the event, and whether they thought they would share chemistry with others. These activities gave ChemClub students opportunities to develop their chemistry skills, become better leaders, and motivate other students to be part of the incredible world of chemistry. 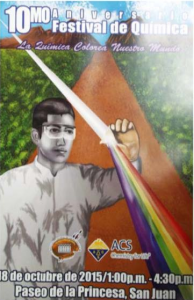 We thank the ACS ChemClub program for its support.